Shake what yo matcha gave ya ! 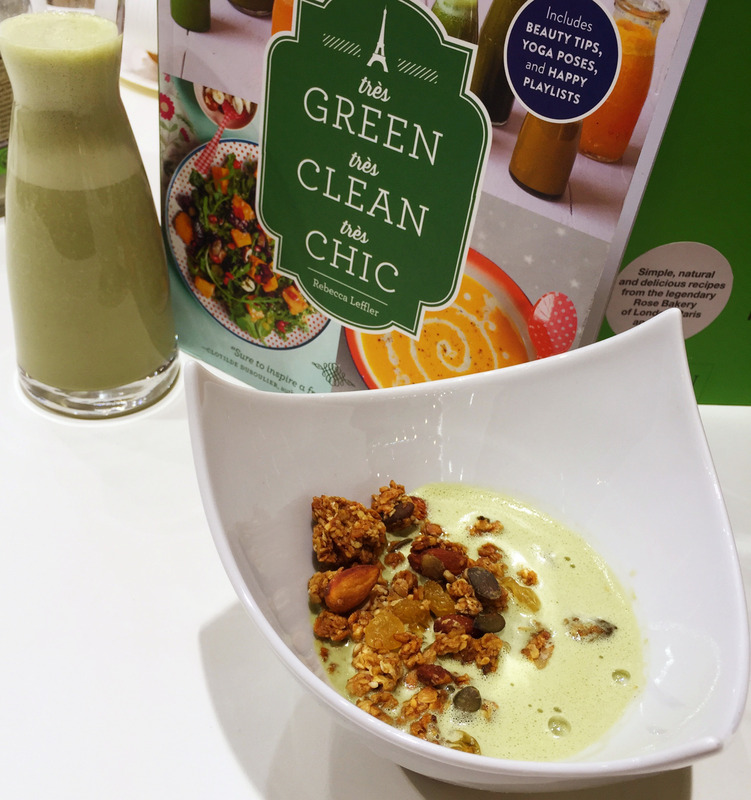 This is an energizing and delicious way to start off your très green and très chic day. The granola is easy to make in advance and keeps well for weeks. Just add to a bowl, pour some “Samurai sensation” milk over the top and … voilà ! Breakfast (or snack !) is served! 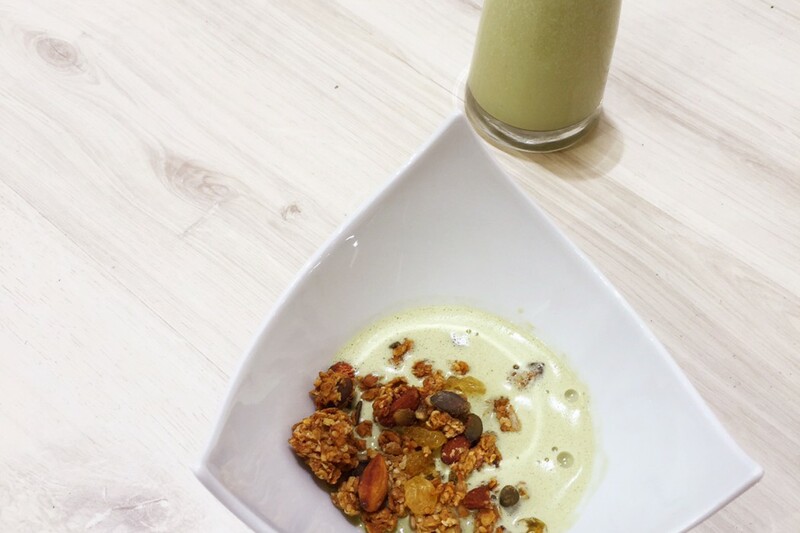 Panatea is now making a culinary grade matcha that, in sum, will turn your world upside down and GREEN! It’s the most exciting thing to happen to me since sliced (gluten-free) bread. I add to my morning smoothie, to baked goods or to my favorite “Matchia breakfast bowl” from my book … The possibilities are endless. Add all ingredients to a Vitamix / high-speed blender and blend, baby, blend until smooth and creamy. Add almonds to a food processor and pulse until ground into a fine powder. Combine the oats, buckwheat, quinoa flakes, matcha, sesame and sunflower seeds, coconut flakes, and salt in a large bowl. Add coconut oil to a small saucepan and heat until liquid. Add maple syrup and stir. Add to the remaining ingredients with the applesauce, mix together well, then spread on a rimmed baking sheet. Bake for around 15 minutes. Mix with a spatula, then cook for another 10 minutes, then stir again. Then cook, then stir. Watch your granola as if it were a small child – you can’t take your eyes away from it for one second or you never know what it will do ! Bake until golden brown (but not burned!). Remove from the oven and let cool for at least 10 minutes. (Try to resist – it will be much more crunchy and delicious once fully cooled. Be strong. You can do it.) Try not to eat the entire tray in one sitting. This keeps well for days in a tightly sealed container. Add one portion (around 1/2 cup, depending on your appetite) of Greenola to a bowl. Top with matcha milk and optional fresh fruit or other accessories. Green-a-porter : For a ready-to-eat version, take a small jar of Greenola with you to work or on the go. When you’re ready to eat, pour the Greenola over the top. Bon green appétit !